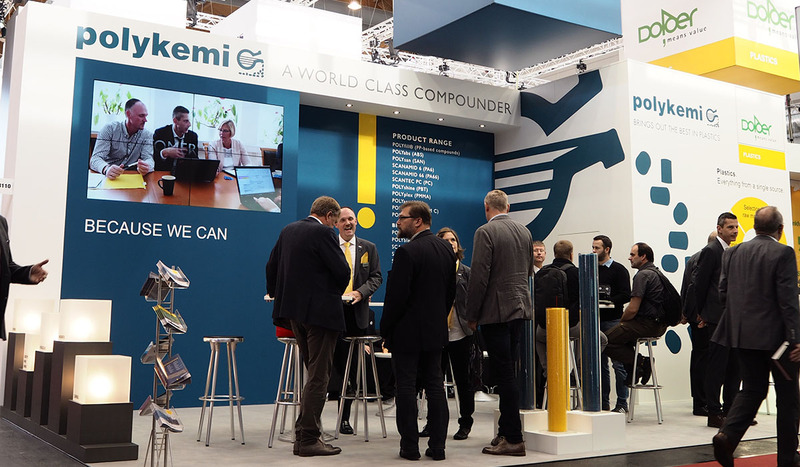 At Fakuma 2018 Polykemi AB was celebrating 50 years as a compounder. The company, currently active in Europe, Asia and the US, informed about Technical compounds, High Tech compounds and Recycled materials. There was a special focus on Electro-vehicles, demanding various light weight compounds and Autonomous vehicles with new demands for the interior design. Future designers will have increased creative freedom for the interior design through the aspired autonomous driving of the future. 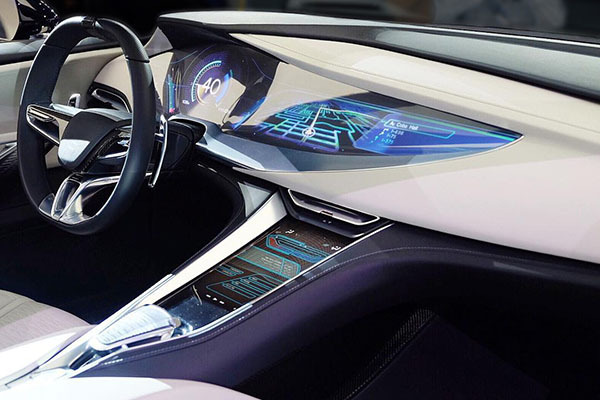 For this a translucent polycarbonate with or without glass fiber reinforcement is under development for the lighting design in the instrument panel and the door panels, leaving all options open. Typical applications are touch control buttons, illuminated light guides, etc. in connection with electronics, which are embedded in plastic parts. Polykemi had to combine the right amount of additives, pigments and fillers to achieve the desired light transmission and scattering effect. The development of flame retardent compounds has been intensified at Polykemi this year. 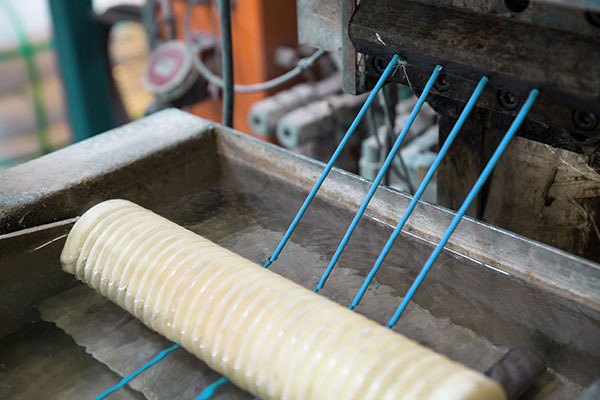 Investments of € 1 million in machinery and surrounding equipments has been made for the strategic expansion of the flame retardant compounds all to meet higher future customer demands. The product range of the high-tech POLYfill PP HC has been expanded to include glass fiber grades with up to 25% filler content in combination with flame retardancy, which comply with the corresponding specifications of the UL. Finally an exclusive new PBT V0 with glass fiber, suitable for thin-wall components is also under development. The high-tech light weight POLYfill PP HC fiberglass family is known as an alternative to PA6 and PA66 as well as PBT with glass fiber. In addition the current situation with insufficient availability of PA66, gives this family a special focus. Many customers have replaced PA6 GF 30% with POLYfill PP GF5030HC. 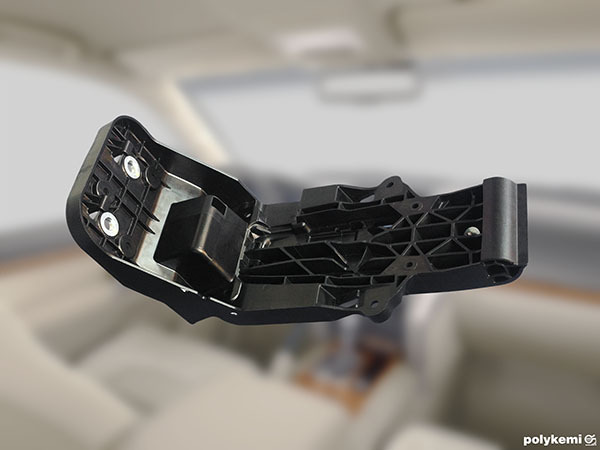 Now interest is also shown for replacing PA 66 with GF 30% with a high-tech polypropylene filled with GF 35%, achieving most strength properties compared to PA 66 with GF 30%. The general advantages of using polypropylene in terms of weight save, processability, and low moisture absorption are still valid. Another highlight is the family of blends. PC/ABS. Paintable, with anti-squeak additives. PC/PBT with a wider process window, good visual surface and continuous gloss on moulded parts. For external usage, there is a new ASA/PC development. This quality meets requirements from the commercial vehicle sector, focusing on stability of the color pigments as well as durability of the properties of the plastics under difficult environmental influences. As one of the first plastic compounders to successfully develop recycled grades back in the eighties, Polykemi offers various compounds to the market, including PP, PA, PBT, PC/ABS, PBT/ASA, ABS and many more from the worldwide production facilities. The REZYcom, a mix of selected, quality-tested recyclates and partly 1A virgin material, is positioned between a general recyclate and a 1A virgin, offering the corresponding price advantage and replacing 1A virgin material in areas of highest demands. For instance, REZYcom PC/ABS is available in a number of dark automotive colors that display high quality finishes and are equivalent in characteristics compared to a new commodity. Discussions with a major OEM regarding collaboration across the entire range of polymer grades is close to its completion. The product range has also been extended with a REZYcom PP R15000FR V0 that complies to a fire protection class to withstand the challenges within the railway industry.